Inspire your readers and consumers with engaging fitness content. Bianca Jade hosting New Balance "Girls Night Out" event series and (at the bottom) hosting a private yoga event at David Barton Gym. Hire Bianca to host and promote your next fitness & wellness event. As a trusted voice in the fitness industry and wellness world, Bianca will entertain and inspire guests to interact with new products and services. To book Bianca Jade, click here. Need help with a sportswear shoot, catalog, lookbook or storefront display? Bianca applies her Style Up 2 Shape Up philosophy to sportswear styling for editorial and promotional print work, televised fitness segments and dvd productions. She works with a long list of high performance and luxury sportswear brands to create edgy, functional looks that mirror everyday fashion trends. Bianca on NBC's Today Show and Great Day St. Louis show. Let Bianca tell the world why your brand is life changing. She’ll get the word out as a product or event-based spokesperson for scheduled media tours and TV newscasts. Bianca only represents fitness, health & wellness brands that she’s passionate about and strongly believes will inspire others to reach their health goals. Consult with Bianca for your company to stand out & grow. Fitness companies, from studio franchises to independent sportswear lines, engage Mizzfit Consulting to keep up with relevant trends, increase brand recognition and gain new devotees.
" A lot of companies say they want to design for women but when brands get truly serious about it they’ll partner with Mizzfit. That’s what we did at Yoo Fitness and Bianca Jade’s insights, instincts and deep understanding for what women want and need from both a fashion and functional fitness perspective brought us a level of expertise that’s incredibly rare. We appreciate the professionalism in her approach, the commitment to our brand of course her marketing and design vision. " " When I put together my retail strategy for barre3 company wide, Bianca Jade from MizzFIT gave me the direction I needed. While I love fashion and the idea of retail, I am not an expert and she definitely is. She took the time to get to know my brand and who my core audience is and consulted with my team so we would be successful from day 1. She really has a finger on the pulse of this industry. " 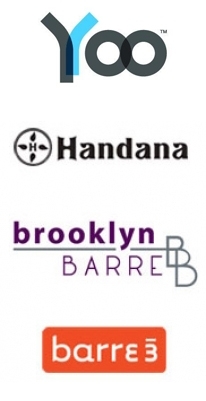 " Bianca's expertise helped me brand my invention, Handana, so that athletes would know they could work out fashionably while managing sweat. She listened to me and saw who my target market was. She knows the industry and I am confident in her abilities. " Bianca Jade speaking at Fitness Magazine FitBlogNYC, for Lady Foot Locker and for iHeart Media Health Expo. 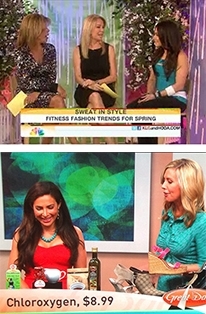 Invite the voice of fitness fashion to your next speaker event. Bianca is available for speaking engagements to share her experience and findings as a Fitness Trend Expert, Blogger, Latina Role Model and Fitness Entrepreneur. She’s had the honor of being a speaker for Nike, Fitness Magazine, the Fashion Institute of Technology in NYC, iHeart Media's Lifestyle Health & Wellness Expo, the HOBY Leadership Seminar and her alma mater, Cornell University. Sponsor Bianca to carry your fitness brand to the finish. Partner with Mizzfit to introduce your company’s unique fitness product or service to our followers across the globe. Don’t miss the opportunity to have five-time NYC marathon finisher, Bianca Jade, take your brand through the finish of her next big race, charity walk or even the craziest of novelty runs. Partner with Bianca to create unique co-branded apparel, accessories, packaged goods and services. Bianca currently works with companies like Quarterly Co., Yoo Challenge and Gym Girl Apparel to curate, produce and personalize fitness & health products for her readers and followers. In 2014, she launched a barre fitness sock collection with Pointe Studio which she singlehandedly promoted. As a former creative art director in advertising, Bianca enjoys working with companies that are looking to fill essential needs in the wellness industry and value stylish, functional design.